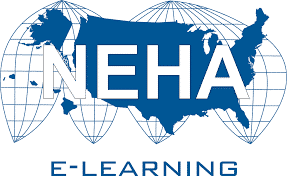 NEHA Food Safety Training is a one-stop-shop for environmental health education and training. We offer education materials (publications, videos, etc. ), top-notch food safety training, HACCP Manager Certification, and food manager certification exams. Our primary services enable restaurants and food service establishments to custom their training needs so you receive as much or as little food safety education as you need. Whether you’re looking for food safety books to distribute to your employees, want to create an internal training program, or are looking to provide certification/recertification for your food managers and food handlers, NEHA Food Safety Training has what you need…all at a price you can afford. We work closely with health departments and keep abreast of food safety trends so you receive the most up-to-date effective training on the market. In fact, a large percentage of our registered trainers are health inspectors themselves – and who better to train you than the inspection experts? Unlike our competition, we not only assist you in developing a reciprocal relationship with your local health department, we also help you decipher/provide updates on the regulatory environment. No other training provider has such an integrated approach to protecting public health and, in turn, ensuring the viability of your business. We recognize that food safety is a significant commitment on everyone’s part, and that’s why we’re dedicated to working with you just as you’re dedicated to protecting the health of your patrons. Bottom line, your reputation deserves the best…your reputation deserves NEHA Food Safety Training. The Certified Professional – Food Safety (CP-FS) credential is designed for individuals within the public and private sectors whose primary responsibility is the protection and safety of food. The exam for this prestigious credential integrates food microbiology, hazard analysis and critical control points (HACCP) principles, and regulatory requirements into questions that test problem-solving skills and specialized knowledge. NEHA has designed and developed an online preparatory course to help properly prepare those looking to challenge and successfully pass the CP-FS exam. Certified Professional – Food Safety (CP-FS) Bundle combines our online, self-paced course with our Certified Professional – Food Safety (CP-FS) training guide. NEHA has designed and developed an online preparatory course to help properly prepare those looking to challenge and successfully pass the CP-FS exam. The Certified Professional – Food Safety (CP-FS) credential is designed for individuals within the public and private sectors whose primary responsibility is the protection and safety of food. The exam for this prestigious credential integrates food microbiology, hazard analysis and critical control points (HACCP) principles, and regulatory requirements into questions that test problem-solving skills and specialized knowledge. HACCP Basics for Processors and Manufacturers is an online, self-paced course on the HACCP System and its prerequisites. Offered and certified by NEHA the course is further accredited by the International HACCP Alliance. The course curriculum consists of 11 modules of approximately one hour of content in each module on how to meet government, industry and auditor requirements for the development and application of a working HACCP plan and the implementation of Good Manufacturing Practices to support your plan. HACCP Basics for Processors and Manufacturers Bundle combines our online, self-paced course on the HACCP System and its prerequisites with our HACCP for Processors: A Step-By-Step Guide. The course HACCP Basics for Processors and Manufacturers online curriculum consists of 11 modules of approximately one hour of content in each module on how to meet government, industry and auditor requirements for the development and application of a working HACCP plan and the implementation of Good Manufacturing Practices to support your plan. The course is certified by NEHA and further accredited by the International HACCP Alliance. The HACCP for Processors: A Step-By-Step Guide is an excellent resource to provide you with the necessary knowledge for understanding, writing, and implementing a food safety management system based on HACCP principles and compliments the online training as a hardcopy resource for your food safety library. HACCP Basics for the Fresh and Fresh-cut Produce Industries is an online, self-paced course on the HACCP System and its prerequisites. Offered and certified by NEHA, the course is further accredited by the International HACCP Alliance. The course is designed to assist participants in implementing a legally mandated food safety plan for bringing the safest possible raw vegetables and fruits to market. The course introduces food safety regulations, with an overview of elements of the 2011 Food Safety Modernization Act (FSMA), such as food defense and Traceability; understanding GAPS, the epidemiology of foodborne disease; agricultural and processing prerequisites on managing contamination of water, soil and production environments; and training of food handlers. The course also explains monitoring, validation and record keeping activities required to be HACCP compliant. HACCP: Managing Hazards at the Retail Level Bundle combines our online, self-paced course on the HACCP System and its prerequisites with our Managing Food Safety Hazards at the Retail Level training guide. The online course is designed to meet the requirements for HACCP team and staff training and to provide frontline food safety personnel in restaurants and supermarkets with an understanding of how their behavior and active participation in creating, implementing and maintaining a HACCP plan can greatly impact the likelihood for success. Special emphasis is placed on the Process HACCP approach. HACCP: Managing Food Safety Hazards at the Retail Level provides a roadmap for writing and implementing a food safety management system based on hazard analysis and critical control point (HACCP) principles and compliments the online training as a hardcopy resource for your food safety library. HACCP Managing Hazards at the Retail Level is an online, self-paced course on the HACCP System and its prerequisites. Offered and certified by NEHA the course is further accredited by the International HACCP Alliance. The course is designed to meet the requirements for HACCP team and staff training and to provide frontline food safety personnel in restaurants and supermarkets with an understanding of how their behavior and active participation in creating, implementing and maintaining a HACCP plan can greatly impact the likelihood for success. Special emphasis is placed on the Process HACCP approach. Our course is designed to provide your staff a quick and easy to understand overview of key HACCP concepts. In less than 2 hours you can make sure anyone working in your production area knows what they can do to positively impact the safety final products they are producing. HACCP Basics for Bottled Water Processors is an online, self-paced course on the HACCP System and its prerequisites. Offered and certified by NEHA the course is further accredited by the International HACCP Alliance. The course is designed to assist participants in successfully implementing a legally mandated food safety plan. GHS Training for Managers and Supervisors provides a more comprehensive overview of the GHS than GHS Training for U.S. Workers, ensuring that managers and supervisors understand the GHS and can support the workplace transition to GHS labels and the new SDS format. The course provides employers with an immediate, cost-effective means of providing managers/supervisors with mandatory GHS training. To complete training, participants must pass mandatory testing to verify knowledge retention. When training has been completed, participants can immediately download/print a Certificate of Completion (the system also maintains a permanent electronic record). GHS Training for U.S. Workers introduces workers to the GHS and provides them with the information necessary to readily locate information about workplace chemicals, as found on GHS product labels and on the new SDSs. This course provides employers with an immediate, cost-effective means of providing workers with mandatory GHS training. Most workers can complete the course in less than 30 minutes. To complete training, workers must pass mandatory testing to verify knowledge retention When training has been completed, workers can immediately download/print a Certificate of Completion (the system also maintains a permanent electronic record). Employers receive a special fee account where they can monitor employee progress as well as print reports.